This is a song I taught to my first graders in Religious Education classes in the 70's. The children loved this song and sang it along to my amateur guitar playing accompaniment. 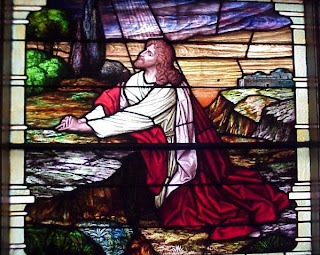 The song refers to Jesus' teaching by story illustrations just before his capture. "...for I was hungry and you gave me food, I was thirsty and you gave me drink, I was a stranger and you clothed me, I was sick and you visited me, I was in prison and you came to me." Then the righteous will answer him, "Lord, when did we see thee hungry and feed thee, or when did we see thee a stranger and welcome thee, or naked and clothe thee? And when did we see thee sick or in prison and visit thee? And the King will answer them, "Truly, I say to you , as you did it to one of the least of these my brethren, you did it to me." We cannot ignore the needs of those who surround us in life. Do whatever you can to help someone who is down in emotions, or down on their luck. Maybe a little "thinking of you" card is all that is needed to brighten one's day or pick up a neighbors mail or share your cooking and baking with someone else. 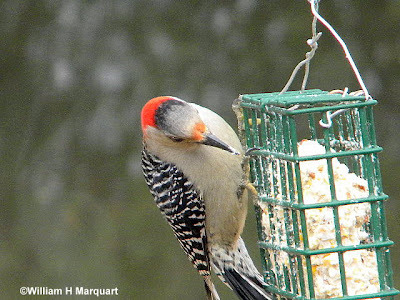 There are so many ways to share your love and giving nature. Do it now, today. Remember the last time someone sent you an unexpected card or gift? Or the last time someone hugged you for no reason? It felt GOOD! Share the goodness at this special time of year. This is a stained glass window from a Methodist Church in Virginia that I found on the web. It is so beautiful that I had to share "Agony in the Garden" When I was a little girl my Father drew his interpretation of Christ's Agony in the Garden with mere crayons. It was quite beautiful and it hung over our bed as children. I do not know what every became of it but I would certainly treasure it. How blessed are we by the creatures of the earth, the birds of the air, the flowers in spring, a time of renewal. Thank you Lord for sacrificing your only son for us so that we might have life eternal. I am thankful for the flowers, the tree's new leaves, the greening of the grass but I am especially thankful for another spring with my hubby who is fighting cancer. We treasure every moment together and can face any crisis as long as we are together. Much like the old song, "Side by Side" in which a verse reads: "Through all kinds of weather, what if the sky should fall? Just as long as we're together, it doesn't matter at all. When they've all had their quarrels and parted, we'll be the same as we started. Just a travlin' along, singin' a song, SIDE BY SIDE." And as long as God is by our side we can face anything. 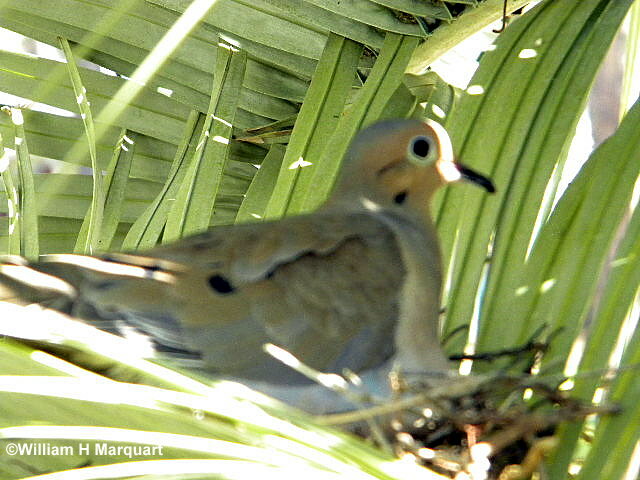 "There is nothing impossible that you and God can't handle today"
Mourning Dove Mama setting on her nest in the Palm Tree. When you were a child did you learn this prayer? I may not have the order of my thank you's just right, but I have always loved this little prayer. May you have a blessed Palm Sunday and Easter week. GOOD MONDAY MORNING TO YOU!! 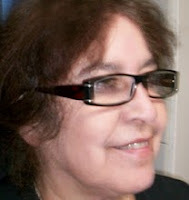 Today I want to feature a lovely lady who lives in California, Gloria at http://glorv1.blogspot.com/ . I have been visiting with her for some time now and still find something new to discover in her charm, wit, artistry, spiritualness and humor. She is a very talented lady with a big heart and shares all the delightful pieces in her life with all of her blog sisters. 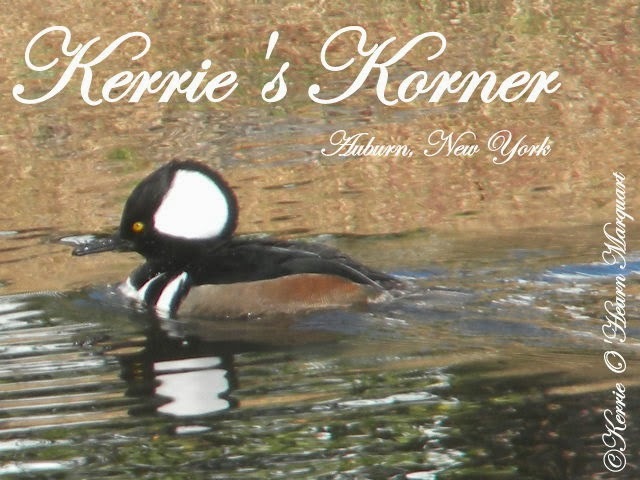 I love the lightheartedness of her blog that is so uplifting as she is so enthusiastic about the Lord, her garden, her crafts, ad infinitum! She also has a shop where she sells her bracelets and bangles. If you have not visited Gloria yet, just click on the link above and I promise you a rewarding visit. This was your Monday smile-maker-ha! 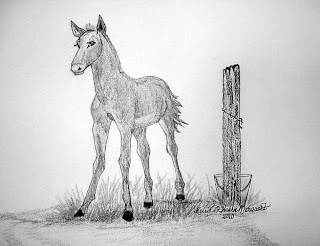 "Monday's child is Fair of Face"
This is my Sunday sketch of a foal. I had lightly sketched him a couple of years ago. Today I added the shadows , fence post and pail. Next I colored him with colored pencils and brought him to life. I love drawing, painting, creating and wish I could just do it all of the time-LOL! 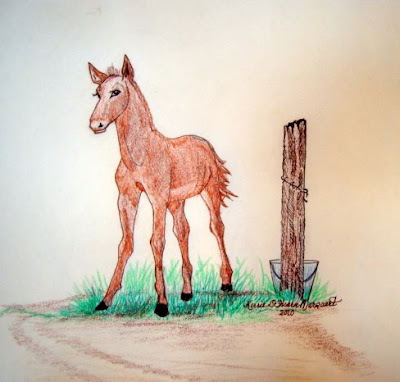 Many years ago when our children were little, we raised Morgan horses. I loved them so much. To have an animal of that size tame and allowing us to ride on their backs always amazed me. And when a colt was born, my hubby was more excited than when the children were born-ha! One moment there was just a Mare and the next there was this beautiful creature. All nature is truly a miracle is it not? Well, Spring is really here, the pear tree is all white like a huge bouquet of flowers and the Red Maple trees look like they have red cotton balls at the end of every branch! The grass is beginning to green up again in little patches around the yard and the geese are bickering about territory and mates very loudly! 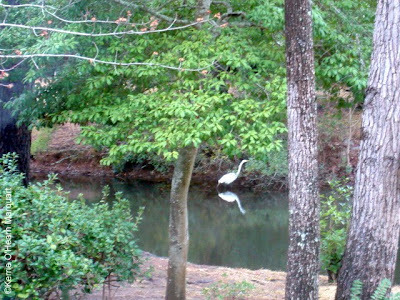 One lone goose, we think it is the male of a couple who have been nesting just across the lake from our yard under bushes at the base of the tree. They have not come this year and we are afraid that this lone goose has lost his mate to traffic or whatever and he is so mournful. 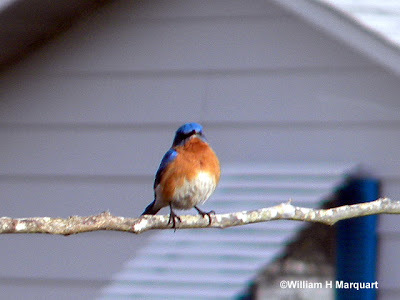 Each eve just before dark, he comes to the spot and calls and calls but no one comes. He is so forlorn. 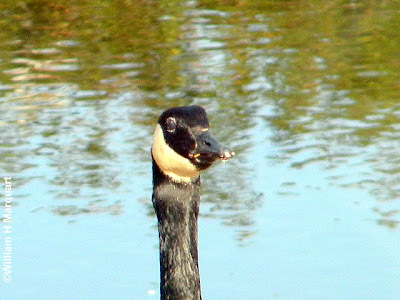 Canadian Geese mate for life and we wonder what will become of him. We talk to him but he cannot tell us what is the matter. We will miss the little parade of that particular couple when their eggs hatched and they marched them down to the water. Although there will undoubtedly be others, we will miss our special couple of 5 yrs. And a wonderful St. Patrick's Day to ye all! I am a wearer of the green with an Irish Daddy. He taught me all the Irish songs and ditties and love for the Irish Music that could never keep my feet from dancing! I love the Chieftans, Irish recording artists as well as Michael Flatley in Lord of the Dance that I saw live in Myrtle Beach several years ago at the Palace Theatre. Irish music can be gay and happy or sad and melancholy, indigenous to the breed. I wished I had asked more questions about the old timers in the family when my Dad was alive. But they were stern Irish Catholics with some hell raisers thrown in but always a good time at family gatherings with singing and playing the harmonicas and guitar. 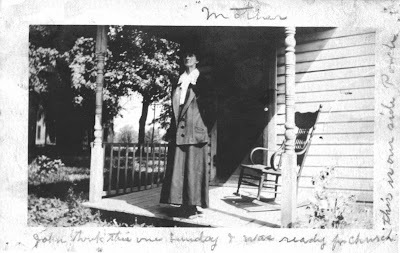 Here is a picture of my father's Mother Catherine. She died before I was born. 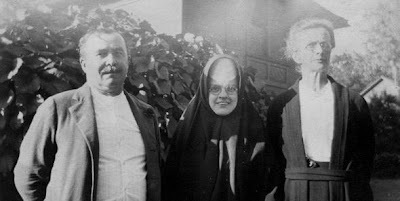 And here is a picture of my Irish Grandfather, Phillip, with my Aunt, Sr. Teresina and my Grandmother Catherine again. Below is a picture of my Grandfather when he was young. I wish I had a picture of this grandmother when in her youth but I do not. I love my Irish heritage and wish I knew much more about the family. If you have not asked more questions about your heritage, do it now while you still have the older members in your life to ask! The older you grow yourself, the more these things will matter to you and hand them down to your children and grandchildren. We all need to know where are roots are. Just like reading the Bible, you need to read the Old Testament to understand the New. 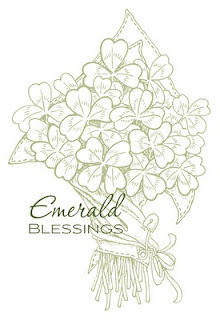 May every Irish Blessing ever wished be sent to you this day and I wish you happiness in all corners of your house forever and a day! 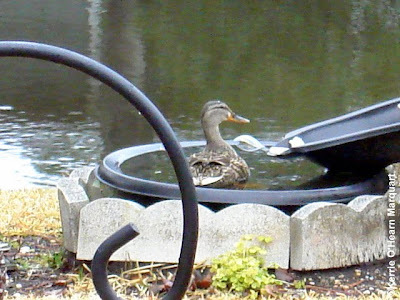 First the snowy Egret came to fish this morning, next the Mallard couple came and she decided to take a dip in our decorative pond-ha! 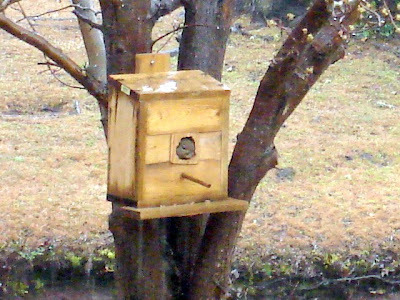 The squirrel has chewed the opening on this birdhouse to acommodate his bulk and is sitting in there during a gentle rain. He looks pretty smart and smug, doesn't he? What wonderful furry and feathered friends. We are so blessed and never get tired of watching all of their antics. "A righteous man may have many troubles, but the Lord delivers him from them all; he protects all the bones, not one of them will be broken." St. Patrick's day is coming soon! Top O' the Mornin' to ye! All of our beautiful backyard visitors today! 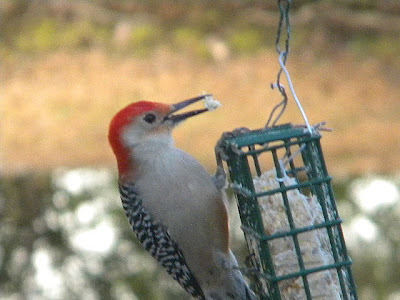 Downy Woodpecker at the top, Bluebird next, Male Red-bellied Woodpecker on the Suet, Female Red-bellied Woodpecker on Suet and last is the regal Canadian Goose. 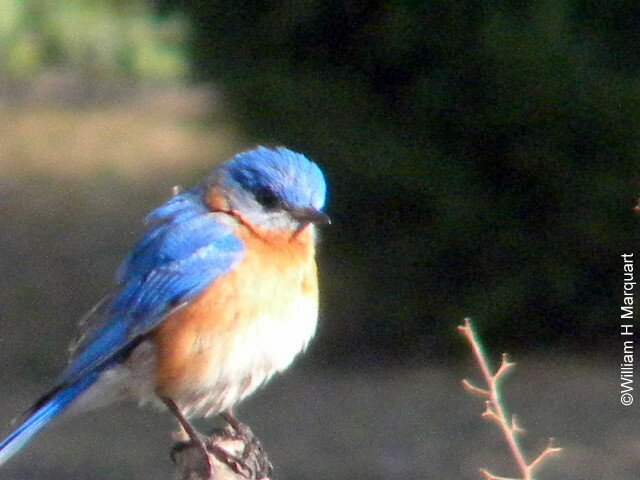 We are so blessed with all of these wonderful creatures right in our back yard. 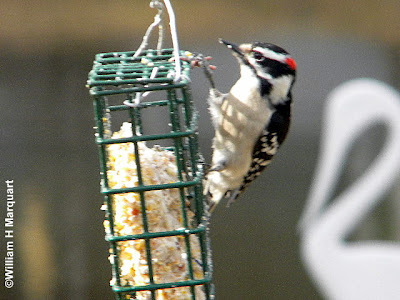 I don't think I ever realized how many species of Woodpeckers that there are. 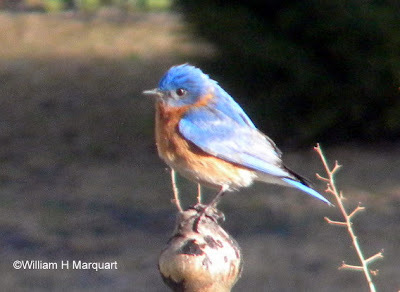 Some even have a yellow spot on their heads, though we have not seen any in our area. 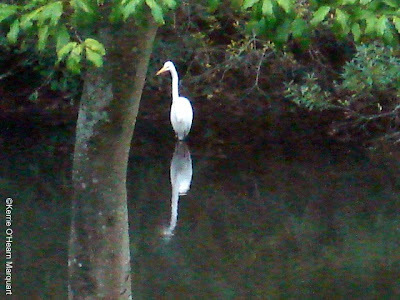 Please pop over to visit TWO HAPPY blogsite for more beautiful pictures. 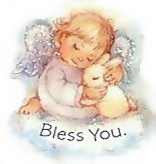 Hello all my wonderful caring and loving blog sisters! Thank you all for your prayers. The heart Cathereterization yesterday morning showed NO BLOCKAGES for which we are extremely thankful!! The inferior infarct was caused from overwork of the heart and not from any blockage or placque in the arteries. The doc told my hubby that I need to slow down for my age and realize I cannot do the things I did when younger. So I need to learn to pace myself instead of pushing to the nth degree like when I was cutting the grass in the extreme heat. I have always worked hard and prided myself in my strength for my size. But I guess you can fool yourself into thinking you can do anything when indeed you can't. Large Thrush on the Suet feeder.